The classic Alaskan adventure! 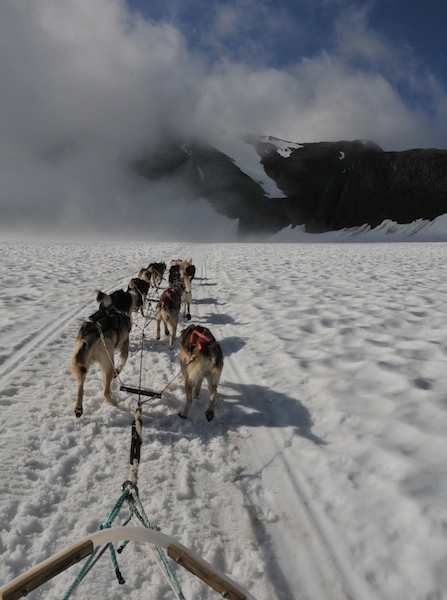 Drive your now sled-dog team on real snow in the middle of summer surrounded by amazing scenery. Start this adventure with a spectacular helicopter ride over glaciers and icebergs. We often see moose, black bears, Dall sheep and mountain goats. 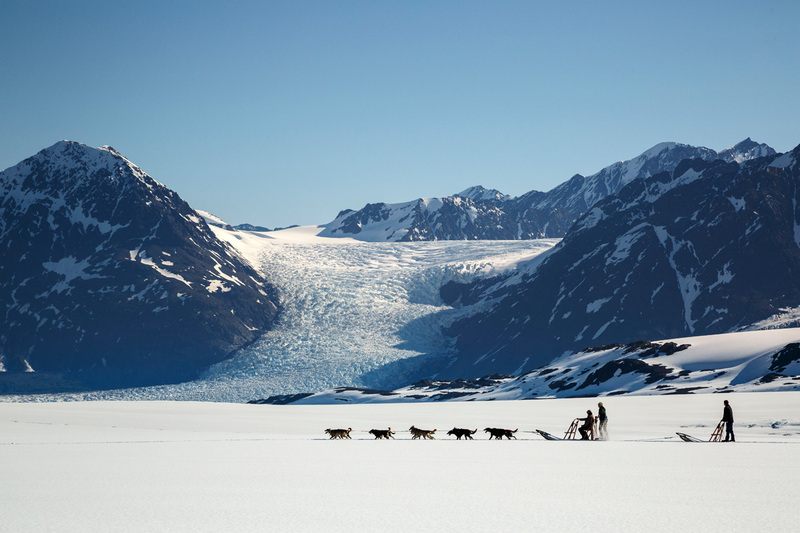 Land on a huge snow field high on a glacier and enjoy a whole hour with Alaskan sled dogs and their mushers that live here all summer long. 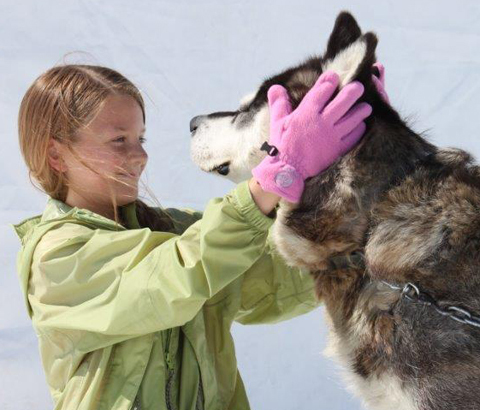 Take the dog team for an exhilarating dogsled ride through real snow. You can stand on the runners and mush your own dog team if you want, or just sit on the sled and let the mushers run the team. The length of this tour makes it perfect for the whole family and we often see three generation having fun together. 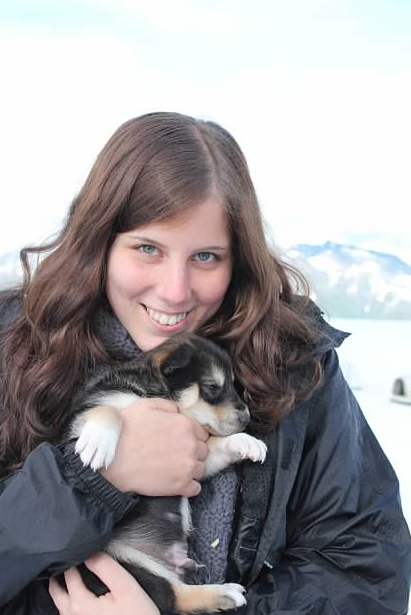 After your dogsled tour meet the canine athletes that pulled your sled, listen to stories about running sled dog races of over a 1,000 miles long, meet the puppies and of course take pictures with your favorite dogs. After the tour the helicopter takes you back to the lodge and you’ll fly over the lower glaciers where you can see the blue melt pools and the crevasses. We provide overboots so your shoes stay dry, and we have some extra jackets and warm gear you can borrow if needed.